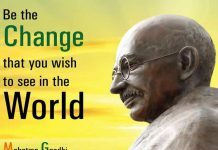 Gandhi Jayanti or Mahatma Gandhi Jayanti is observed every year as a national holiday to commemorate the birth of Mohandas Karamchand Gandhi (October 2, 1869 – January 30, 1948). His non-violence or satyagraha continues to influence political leaders and movements till date. The celebration and essence of Gandhi Jayanti is not restricted within India and also observed by the United Nations as the International Day of non-violence that aims to disseminate his philosophy, principle and believe in non-violence through proper education and public awareness. 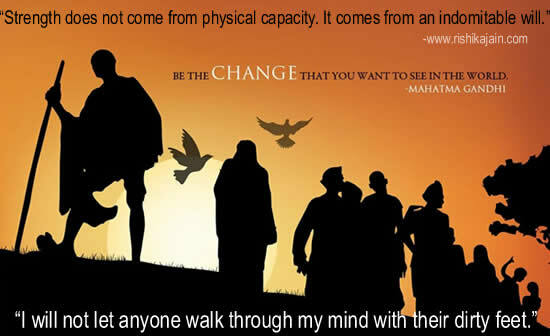 Mahatma Gandhi.– Inspirational Quotes, Pictures and Motivational Thoughts.